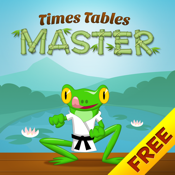 Times Tables Master turns learning the multiplication tables into a fun game, that your child will get hooked on. We’ve taken some of the most effective game principles and applied them to learning. Your child will have fun unlocking each level and getting fun awards along the way.